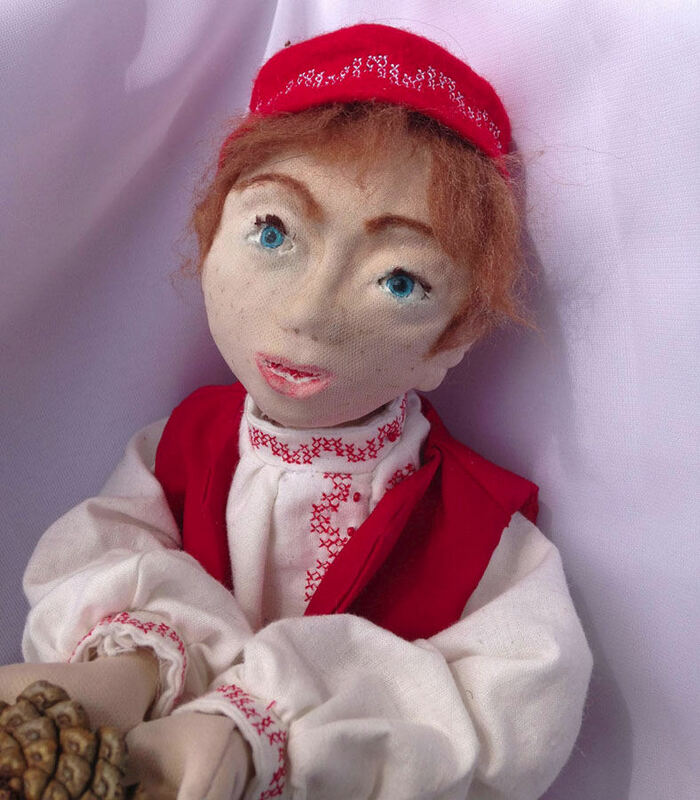 Alexei is a Russian boy woodcarver, taken from the story of The Queen of the Copper Mountain (the Russian version of The Snow Queen.) In the story, he became so skilled at carving flowers that he ignored everything else. He was taken into the service of the Queen of the Copper Mountain to make her the perfect rose. Eventually his lost love comes for him, and because of their true hearts, the Queen granted Alexei the best wood carving tools and the girl a chest of treasure to keep them from want. Alexei's pattern is adapted from Nancy Katz's Shaniqua. He is cloth with clay features under cloth. 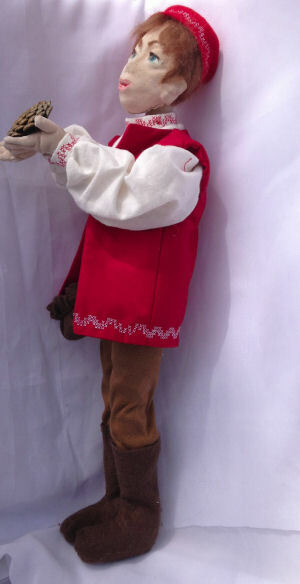 His clothing is homemade with embroidery assistance from Peg Palmer. 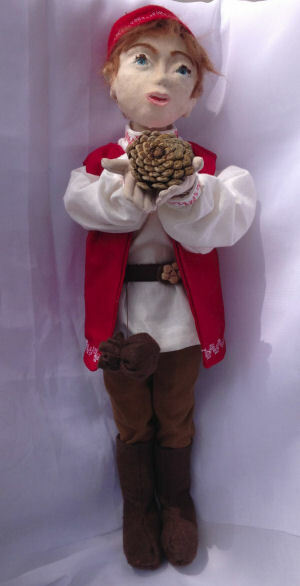 The wood flower he holds in his hands is the top of a pinecone. 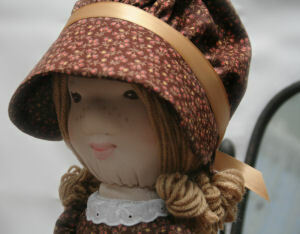 Meet Holly Hobbie, my second doll I've ever made. 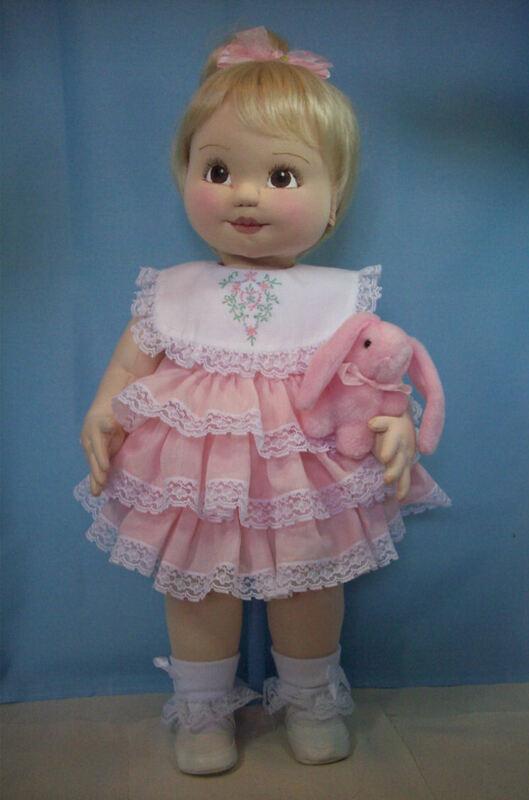 I used the vintage Simplicity pattern 6006 and used the face molding technique from Cutest Creations. I had a hard time with the face and trying to get the folds out of the neck. 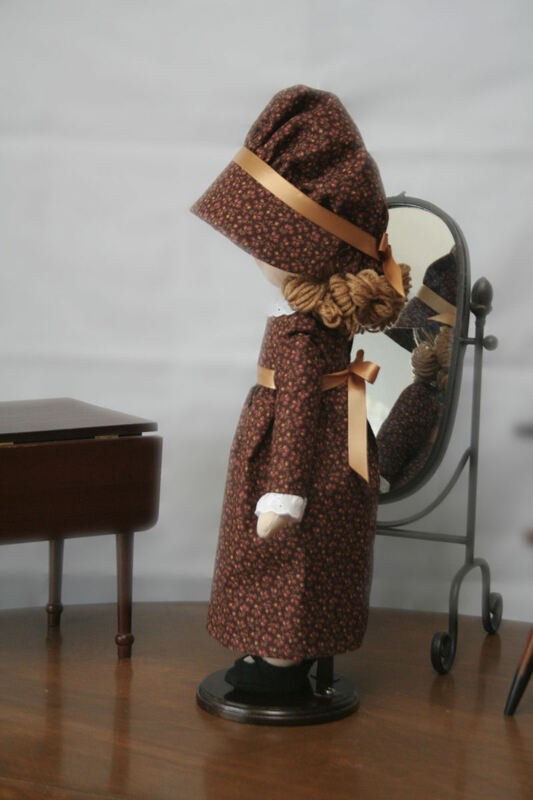 Rather than using a sock for the head and cotton for the body like the Simplicity pattern said, I used a stretch knit fabric I purchased for making soft-sculpture dolls. For the dress, I used some vintage-looking fabric from my mom's stash that she had given me a long time ago. For the shoes, I used black felt. I embroidered her eyes. I used crayola colored pencils for the lips, freckles, and eyebrows. I used a crayola crayon for the cheeks. For the face molding, I used polyfil and felting needles to shape the nose, lips, chin, and cheeks. 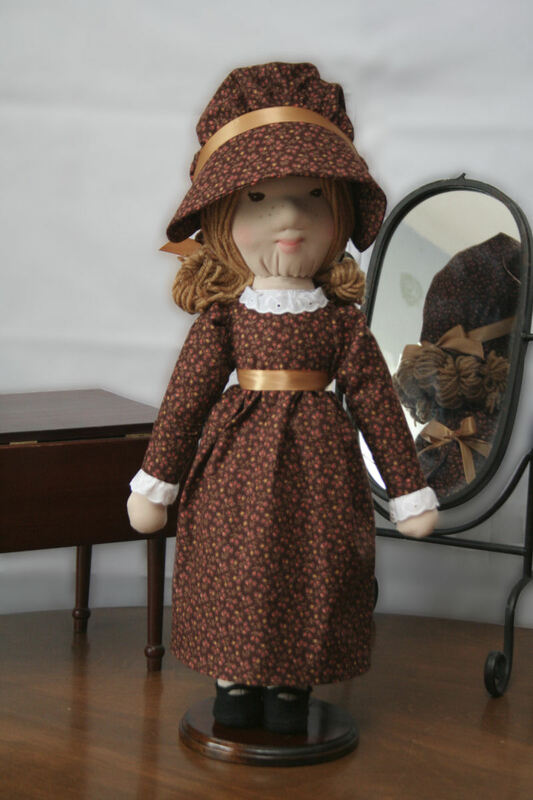 Though it was a challenge to get everything done to look half-way decent, my kids adore this doll and all want me to make one for them, too. I'm going to enjoy making more!